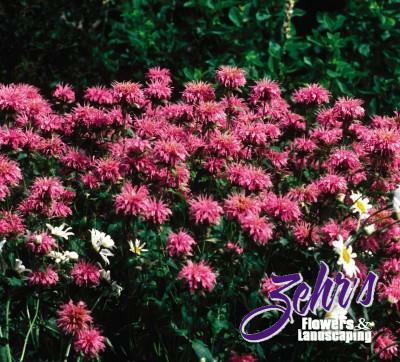 Hardy perennial that produces an abundance of attractive pink flowers in mid-summer. A favorite of hummingbirds and bees. Rich, moist soil. Plant information and imagery used by permission from Bailey Nurseries. Plant Features are recommendations for optimal performance. Availability subject to change. Very quick with estimating, designing and completing our work. Final total even came in a little less. Guys worked fast and hard and did an amazing job on our flower gardens and planting new trees. Friendly, fast and efficient workers! I would highly recommend Zehr's Flowers and Landscaping!!!! Day one completed! Zehr’s Flowers and Landscaping are doing a wonderful job! I have been saving for this project for a long time and they are bringing my vision into reality! My dream patio, part of phase 1: Zehr’s Flowers and Landscaping outdid themselves! Thank you to Zehr’s Flowers and Landscaping for doing such a great job on our flower beds and planting new trees!! It looks great!! © 2018 Zehr's Flowers & Landscaping. All Rights Reserved.